When one thinks of networking, it’s almost a knee-jerk reaction to think back to the days of cocktail parties where cheese cubes ran the show. It’s also something a lot of people dread, for no other reason than they fear it. I believe that’s only because people don’t understand it. At the heart of the matter, networking is about building relationships. It’s simple math: the more people you know (have in your network), the better the chances that you will be able to call on someone when you need help – to expand your client base, develop business partnerships, find a better job or find some better workers. This type of meeting people has always come easy to me, for which I thank my parents immensely for always encouraging me to introduce myself to people I didn’t know! My latest instructor Samantha Lapedus wants us to push our boundaries and promote ourselves in the PR world; while this initially seemed like a simple task for me, the catch was she wanted us to reach out to people we didn’t know on LinkedIn. I’m all for connecting with people on social networking sites, however I tend to be of the mindset that LinkedIn should be used to maintain relationships, not develop them. Personally, I only connect to people I know and even then, it is more a selective process for individuals I connect with. Apparently I’m not alone; LinkedIn use among millennials is among the lowest, at least according to PEW Research Center. I go through my followers and delete spam accounts and the like. 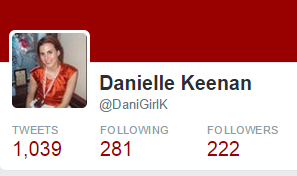 But I’ve gone from having less than 50 followers at the beginning of the school year to having over 200. And that is all because I’ve started to develop better Twitter habits, but better social networking habits in general. Networking is more about ‘farming’ than it is about ‘hunting’. It’s about cultivating relationships. For further reading, check out this LinkedIn ‘Hacks’ article, and comment below to let me know what you think about networking and LinkedIn. I look forward to hearing from you! This entry was posted in Public Relations and tagged Networking, PACE Public Relations Marketing Management Diploma, PR Fundamentals, Public Relations, Social Media, University of Winnipeg. Bookmark the permalink. I think you hit the right spot when you say that building relationships is key to our profession. I also like the idea of going through your list to get rid of spam accounts. Many of us overlook that because the number of followers increases. And that boosts our social media success. But at what cost? Now that’s a great tip that I’m going to research on. Do you have any other tips on Networking? Thanks again for such a great blog post. I’ve told clients getting into social media that they have to become part of the community. You can’t just buy a membership to a golf course, sit on the first hole, and hold up a sign that says “buy my stuff” and expect people there to adore you.